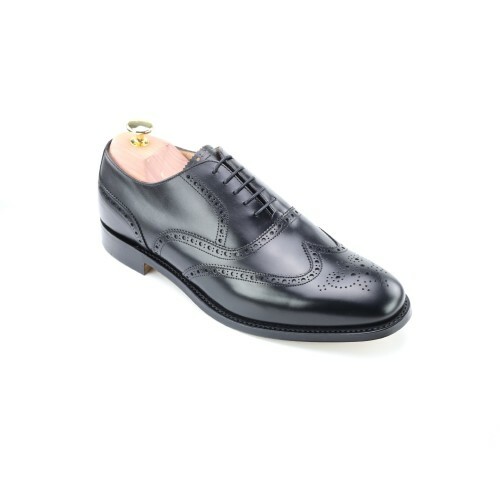 Fit for a country gent or a city trader, the Bute is a traditional Brogue, strong, sure and smart, in Black Calf. Born in the Celtic wilds, perfected by English cobblers, the Brogue has become the apotheosis of international business footwear. Once the staple accessory of the retired colonel in Peebleshire or the rural dean in Rutland, it is now the fashion essential of Shanghai property developers, Beverley Hills movie producers and Parisian politicians alike.